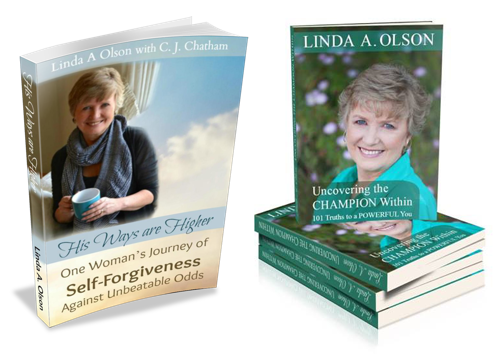 Linda Olson is the author of two #1 best sellers on Amazon. Let her message help you become the champion you are. She was 10 when she caught the entrepreneurial bug. Her idea was simple, effective and something she knew well. Linda Olson packaged garden seeds and sold them for 10 cents a pack on her bicycle farm to farm. She was bit by the bug! She says it simply, “I learned more about the importance of developing trust and strength through relationships than I knew was possible. The biggest surprise was that people loved paying me for my seeds. There was nothing hard about it.” Thus began a true entrepreneurial journey in the mastering of a million dollar, money-making skill. A journey that only 4 years later saved her when in a moment her sweet, innocent life turned to darkness, an unimaginable sorrow. What does a young person do when they are derailed from what they thought life was? What happens when life was, only a moment ago, a benevolent, sweet – and in the next moment darker than even the most imaginable nightmare? Truth be told, – It breaks you – Or you break it! It took work, – but Linda Olson broke it. She shattered it! Not in a moment but in weeks, months, and years of dedication to the development and sharing of relationship skills forged by the fire of necessity. And so Linda Olson became one of those rare people that life seems to direct unabashedly to their destiny. She became a master at guiding entrepreneurs, business men & women, speakers, authors, consultants, and leaders into the very success they had tried so hard to create. Her work does not come with a magic wand, even though the outcomes she creates tend to leave even the strongest with mouth agape at the results. Like her upbringing, Linda has a simple (if not always easy) clear and even delicious way of breaking down excuses, of creating surprising change that sticks, of calming the ego and awakening new pathways, and of directing higher intelligence into the relationships at work, home and with self. Those looking for a pretend fix are not Linda’s clients. She works with the companies and organizations and leaders that are sincere about change – with Linda Olson it’s about creating life changing, eye opening, deep relief from the very things that sabotage the success of the individual and the entire company/organization. If you, your company, organization, leaders, even your industry has been holding your breath waiting, wishing, hoping to create change that will last, – well, Linda Olson is the unexpected exhale you have been waiting for. Linda A Olson, an international speaker and sought-after Brand Story expert is the Founder & CEO of Wealth Through Stories. This former college dean, marriage and family therapist and award winning entrepreneur combines decades of public – speaking and writing experience with her own moving story to form the basis of her latest book, Your Story Matters! 3 Breakthrough Secrets to Stories That Transform. 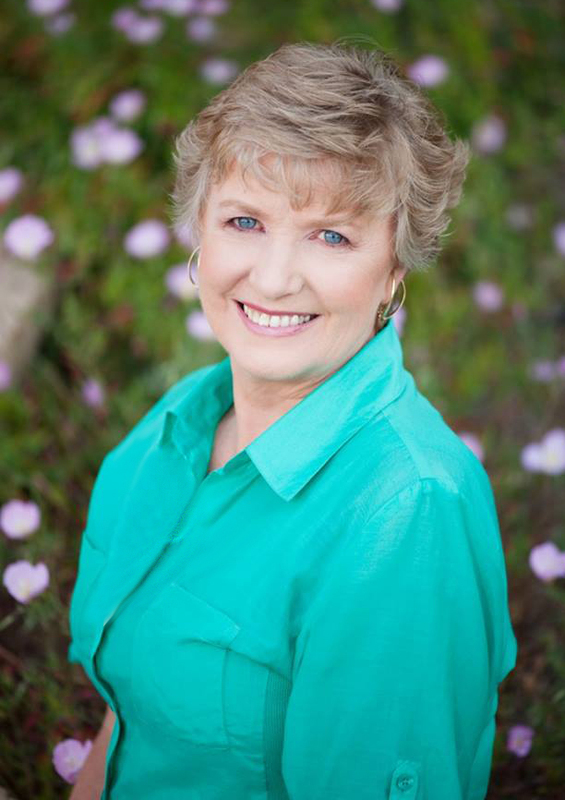 As a speaker, Linda captivates audiences with engaging storytelling and thought-provoking questions. As a trainer, Linda inspires and motivates her clients to learn quickly and remember more so that they can utilize valuable skills both personally and professionally. Outside of her entrepreneur role, she loves her role as wife, mother and most of all grandmother. Linda is married to the man of her dreams, Rick Olson, since 1982. 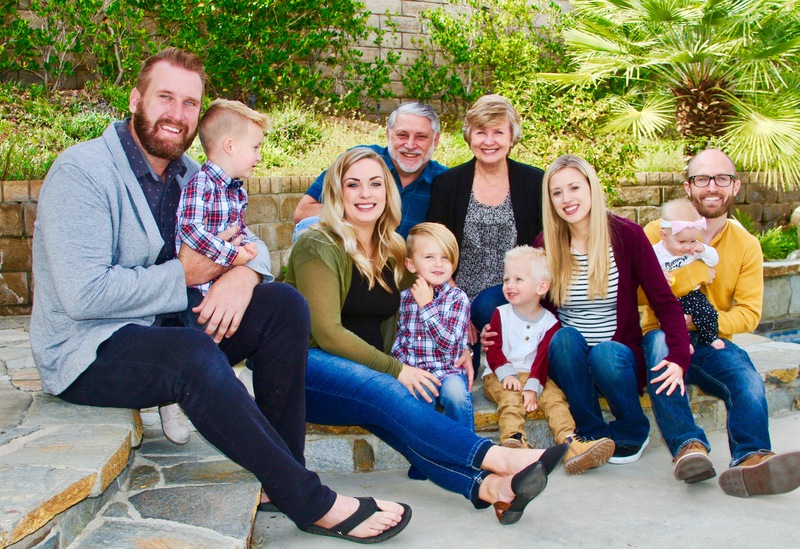 They make their home in Southern California along with their two married daughters, sons-in-law and adorable grandchildren who are the best part of her story. You have a story that others are waiting to hear. And if you don’t tell it, who will? Your story is the greatest gift you have been given. Everything you do is in one way or another based on your story. “Your Story Matters! 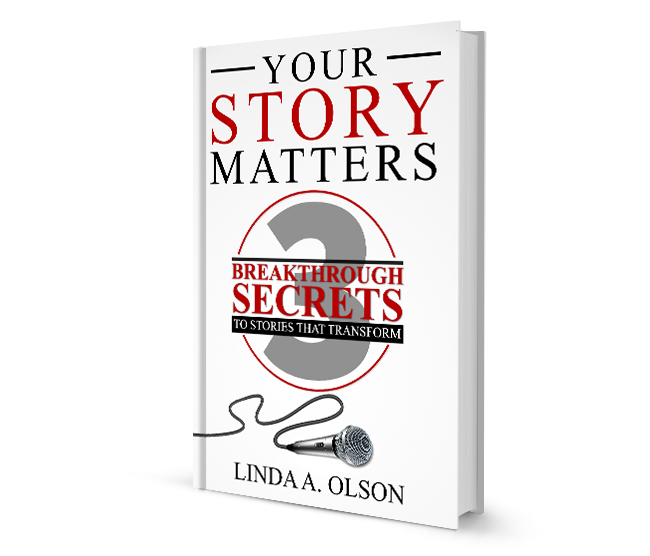 3 Breakthrough Secrets to Stories That Transform” will give you the clarity, courage & confidence to get started with your story. Linda has compiled all you need in this compact, easy-to-read and delightfully engaging book to get you started on sharing your story. You will find gem after gem, like I did, as you discover the tips, tools and techniques Linda condensed easily to prepare and guide you along every step of the way. As a successful author and effective story-teller she has already helped countless men and women find their voice (including me) and you can be assured that you’re next! Tucked away in the back of the book, I’ve included a $100 coupon towards our 3-day Retreat called Wealth Through Stories LIVE. I would love to have you join us. If you are interested in arranging for Linda to speak to your group, click here. Please contact me for speaking availability. YES! I'm interested in hearing Linda speak.